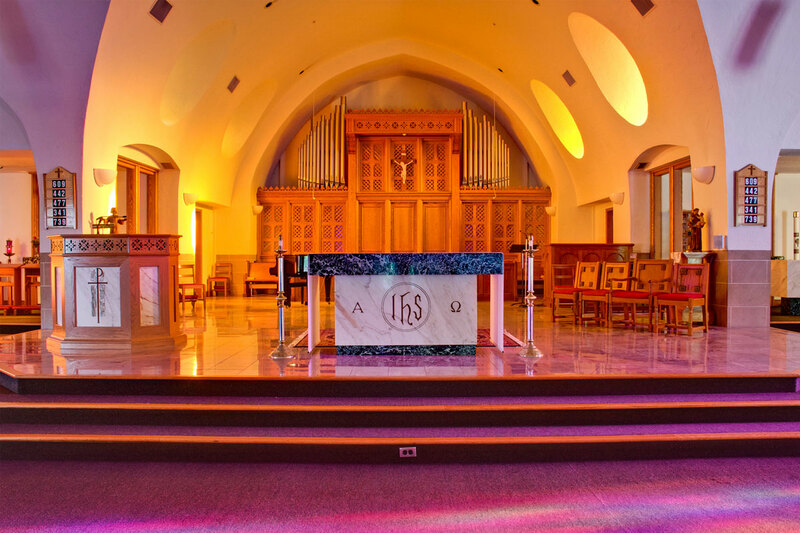 Hayes Design Group Architects provided a unique personal service of coordinating the design, fabrication, and installation of a new lectern in the existing sanctuary space. 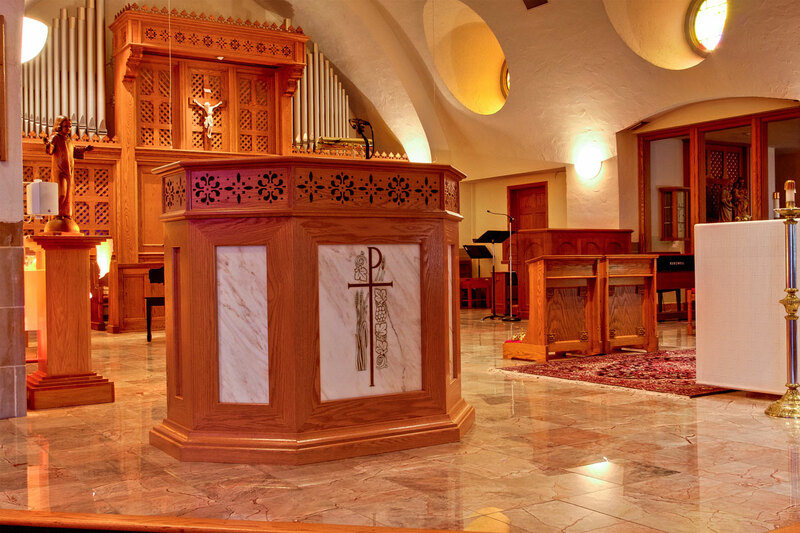 The design included the reuse of an existing marble lectern and integrated new wood trim to synchronize with the existing architectural features of the church such as the altar and stained glass windows. Our services included full design, preparation of detailed drawings, solicitation of bids, and coordination of fabrication and installation. 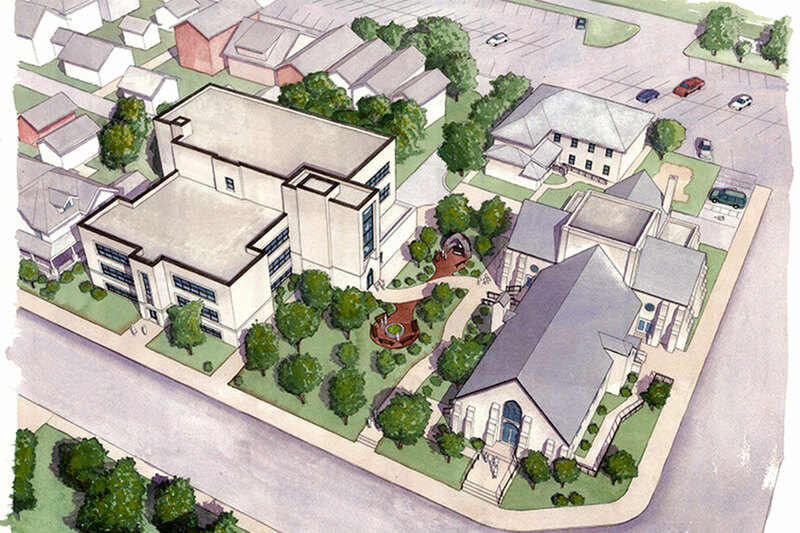 HDG was tasked with creating a master plan for the Holy Child Parish campus. The existing site had four main buildings including the church, rectory, former school, and former rectory. The school had closed and the former rectory was no longer used as a residence for priests. 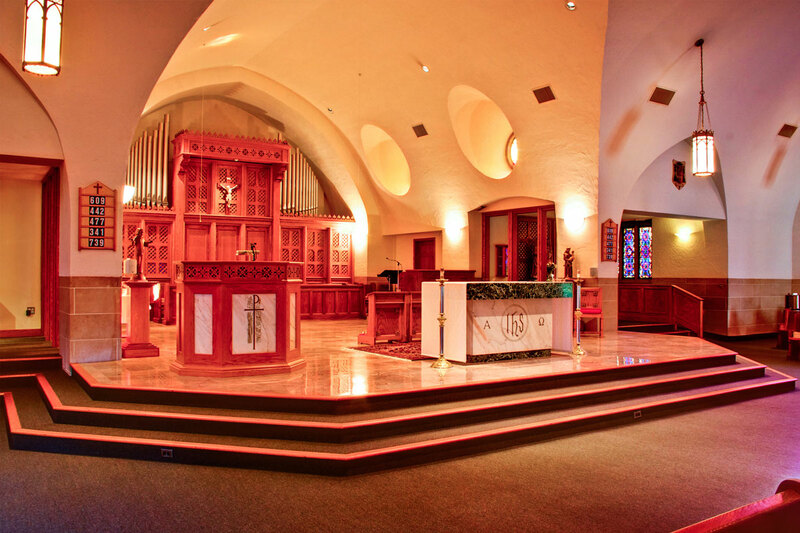 The Parish desired to unify the Parish and the community into one cohesive campus utilizing the buildings to create an outdoor space, community center, banquet hall, new offices, and classrooms for the Faith Formation program. In the HDG-developed master plan, the former rectory building was demolished in order to create an outdoor courtyard. This exterior space will serve as a peaceful and prayerful space between the three remaining buildings, while also connecting the various entrances to the school, church, and rectory. 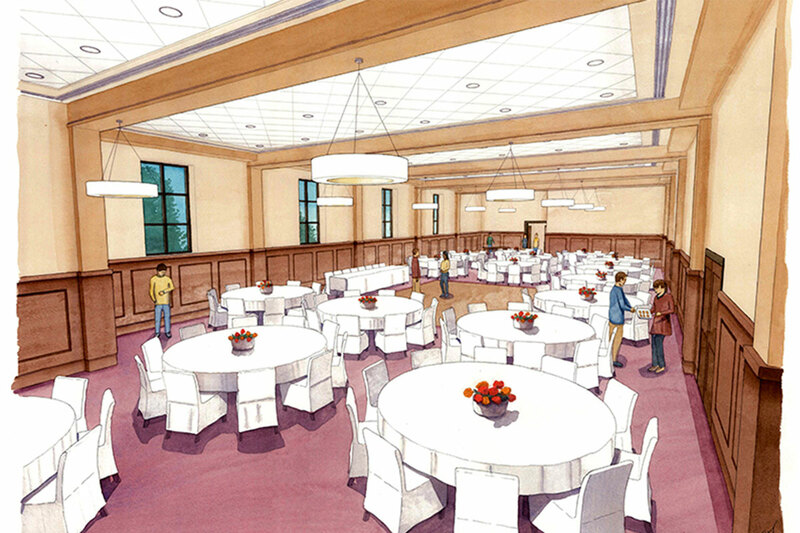 Plans were developed to renovate the existing school building into a fully-accessible parish center, complete with a banquet hall, full-service kitchen, restrooms, classrooms, and parish offices. The Parish Center design alleviated split-levels in the existing school to create an accessible facility that could house all of the various functions of the Parish. HDG also provided assistance in the creation of a cost estimate and renderings to be utilized for a capital campaign by the Parish.